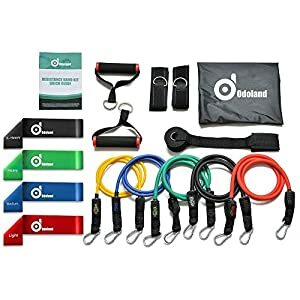 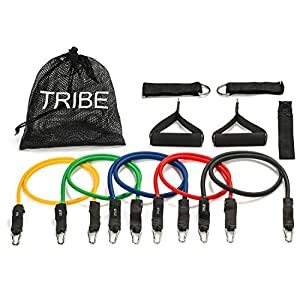 Athletic Resistance Bands Tube 11pc Set includes 5 Resistance Tube ( Yellow /10 lbs ,Green/15 lbs,Red/20 lbs,Blue/30 lbsand Black/35lbs) which can be used alone or stacked in any combination to a maximum equivalent of 110 lbs and 6 pc accessories (2 pc Soft-Grip Handles ,1pc Door-Safe Anchor ,2 pc Soft Ankle Straps ,1pc Carrying Bag). 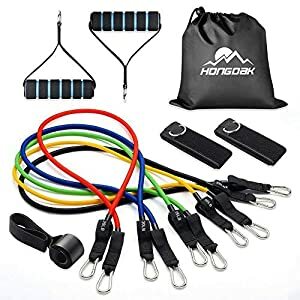 Compared with the traditional fitness method, our resistance bands sets improve the fun of sports and changes the method of exerting force, which can improve the quality of training to a greater extent. 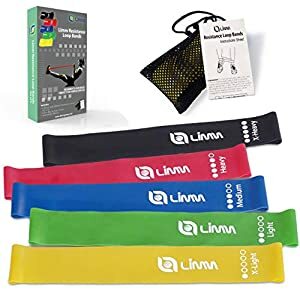 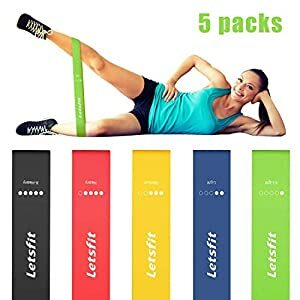 5 COLOR-CODED BANDS INCLUDED – Yellow (10 lbs), Blue (20 lbs), Green (30 lbs), Black (40 lbs), Red (50 lbs), all bands are 48″ in length, and can be used alone or stacked in any combination to a maximum equivalent of 150 lbs. 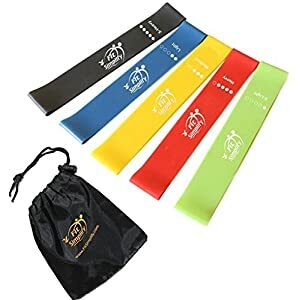 Each band is color-coded for instant recognizability, but we still label each one with the equivalent weight for your convenience. 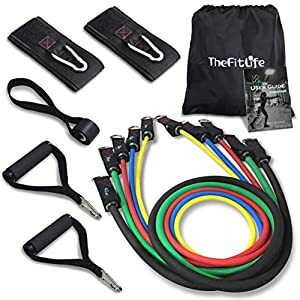 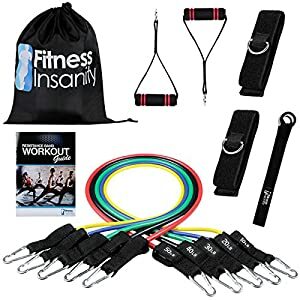 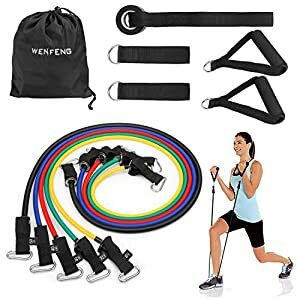 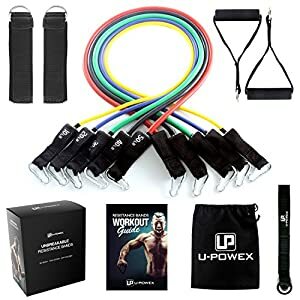 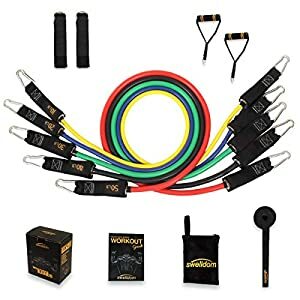 YOUR OWN PERSONAL HOME GYM – This premium resistance band set includes five resistance bands, one door anchor, one waterproof carry bag, two cushioned handles and two ankle straps to allow you to perform the widest variety of resistance training exercises possible. 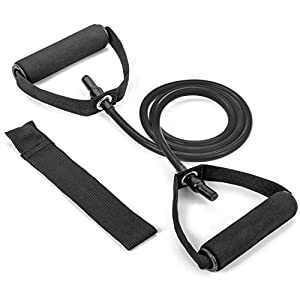 Great for toning your quads, glutes, buttocks, chest, abs, biceps, triceps, shoulders, legs and knees.